I have not. Behold, the hat that all the cool kids are wearing. Yes, it is pathetic that a forty something is looking at the hats worn by the twenty somethings, but the pattern is free, so I believe that provides karmic balance for foolishness. Here we have some crochet, my first fiber love. 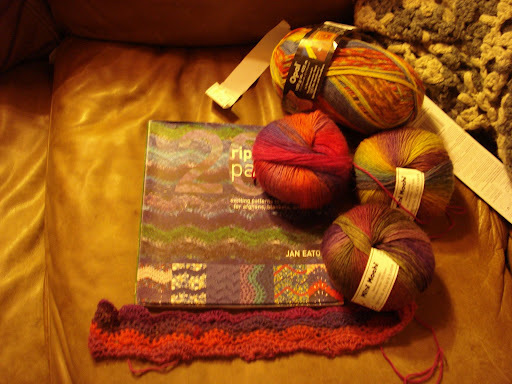 The yarn flung itself at me at the LYS. 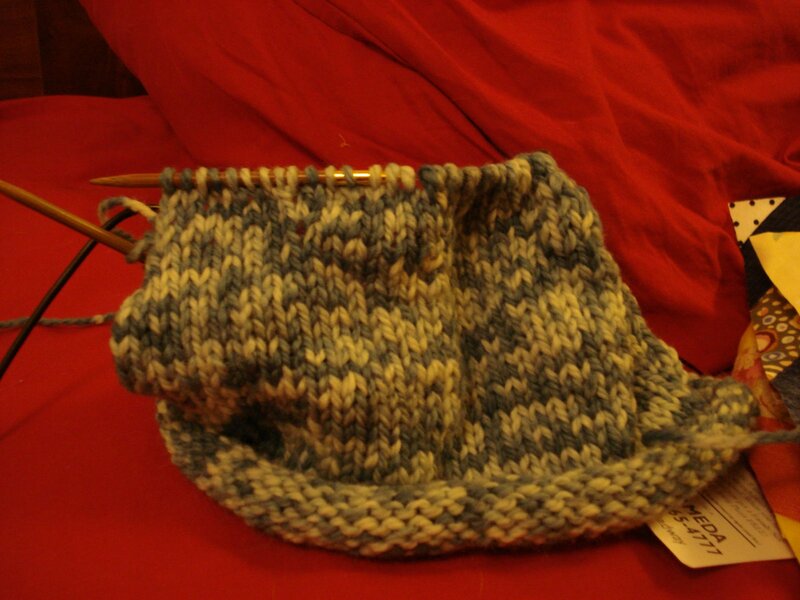 What sock yarn? Alison H taught me how to write one line of a lace pattern on one index card. The next line is on the next index card, and so forth. When you finish a row, you put that card to the back of the stack, and you will never be lost again. And here we have a myth busters on foundation piecing. I have always been told that a paper or fabric foundation is necessary for string blocks. One of these has a paper foundation, the other three do not. I found I needed the foundation mainly to tell me what size strip to use. Using an eight inch square ruler ( quilting rulers come in all kinds of sizes and shapes) and comparing the about to be sewn block to thr ruler worked just as well for me. 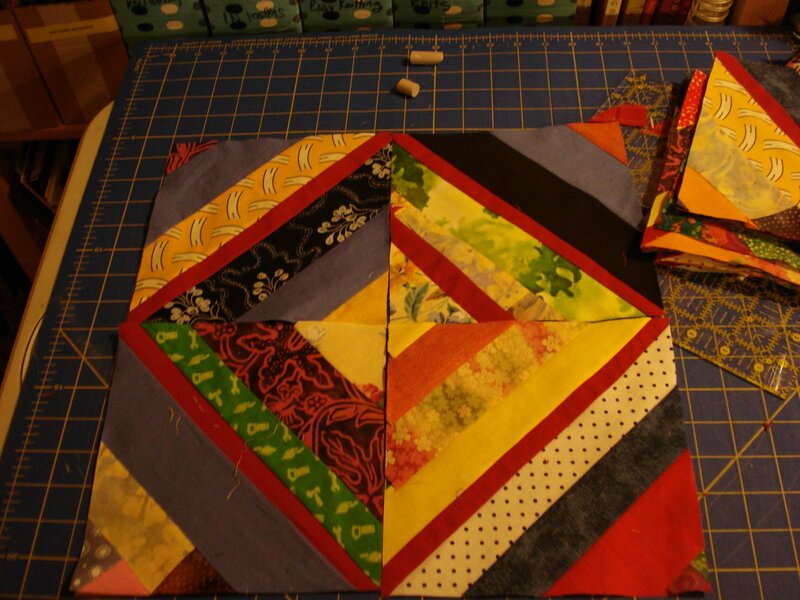 In fact, of the three I had paper pieced, two had to be resewn because of wrinkles. The not paper foundationed ones allowed the wrinkle to press out. Not bad for a Saturday when I had four kids ( two are loaners) in the house.